Which of the PayPal Cards are best to use for shopping online? Paypal offers many types of credit and debit cards to customers so that they can use to shop online. All you need is to register yourself with PayPal and apply for the PayPal card products. Here are few of the PayPal cards that you can choose to use for your online transactions. With PayPal Credit you can buy now and pay later. When applying for PayPal Credit you will be asked to provide your date of birth, Social Security Number and accept the PayPal Credit terms. You will receive a credit decision within seconds. There is no annual fee to use PayPal Credit. You can easily manage your account through PayPal.com. The PayPal Cash Card is a Debit Card that’s used with your Personal PayPal account. The PayPal Cash card allows you to cash a check, load cash, do a bank transfer, and direct deposit. The PayPal Cash Card lets you shop in-stores and online, everywhere Mastercard is accepted. With this card you can get your money at ATMs worldwide, including 33,000 MoneyPass locations nationwide at no cost. Also you can transfer money to your bank account in minutes using a linked eligible debit card and Fees apply for this transfer. Use your card to load cash at over 100,000 retailers including Walmart, CVS and 7-Eleven. Click here to apply for PayPal Cash Card. account. With the PayPal Business Debit Mastercard, there’s no need to transfer money from your PayPal balance to a bank. Just immediate access to the money you need to restock, pay vendors, and purchase the hottest new item-before the competition. Also take out cash from ATMs and transfer money to your bank. Click here to apply. You can order a PayPal Prepaid Mastercard online or purchase a temporary card at retail locations. Once you receive your card you can load funds and start shopping. You can use this no-cost direct deposit service and have access to your funds up to two days faster than what traditional banks offer. Make transfers from your PayPal Account to your Card Account and you can even add money at more than 130,000. With your mobile you can even check your account balance, review recent transactions, load checks, find a nearby reload location, or receive real-time activity alerts. Click here to apply. Click here to apply for this card. Now choose the one you like and apply for the same with your PayPal account login ID. 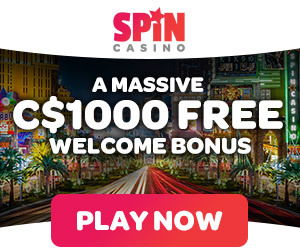 ← What are the best PayPal online casinos for Canadians to play slots in 2019? What are the Three Best Canadian Prepaid Cards for PayPal Poker Deposits? July 8, 2016 Kamal Kaur Comments Off on What are the Three Best Canadian Prepaid Cards for PayPal Poker Deposits? How to check whether a Canadian online casino offers PayPal as deposit options? April 15, 2018 Kamal Kaur Comments Off on How to check whether a Canadian online casino offers PayPal as deposit options?